Gyoki: concentration of ki by paying attention to our​ ​breathing and vital energy. Yuki: intuitively placing our hands or attention on an area​ ​​of our or another’s body. Katsugen undo: listening to and following our instinctual​ ​spontaneous movement. Although these practices are ingeniously simple, their​ ​effects are surprising. The founder of Seitai, Haruchika​ ​Noguchi, dedicated his life to discovering how to respect and​ ​cultivate the natural force which leads to a state of authentic​ ​health and vitality. The breakthrough of Noguchi was to realise the​ ​importance of our spontaneous movement, identifying the​ ​process of tension and relaxation and how when this to and​ ​fro movement became blocked it caused concrete​ ​psychological and physical problems. He succeeded in​ ​identifying and understanding the very particular way each​ ​person has of tensing and relaxing in five directions. Humanity has dedicated a great deal of effort and​ ​research into looking for ways to improve the quality of our life​ ​and overcome health problems, but often it has resulted in​ ​fixing a series of dos or don’ts (dictating what we should or​ ​shouldn’t eat, how much we should sleep, types of exercise we​ ​should do and pills we should take…) which do not always​ ​respect each individual’s needs and our innate capacity to​ ​recover our own health. An excessive external care and​ ​tampering can weaken our organism and interfere in our​ ​delicate and complex natural capacity to respond to life. Seitai understands that each individual already knows​ ​what they need to feel better and that their vitality can be​ ​recovered by listening to and following the instinctive cellular​ ​intelligence that we all possess. These practices offer a way to get back in touch with this​ ​wisdom inherent in our organism, leading us to loosen the​ ​knots we have accumulated so that we can live a fuller, freer​ ​life. Noguchi’s discoveries have been furthered by the main​ ​disseminator and teacher of Seitai in Europe, Katsumi​ ​​Manime. 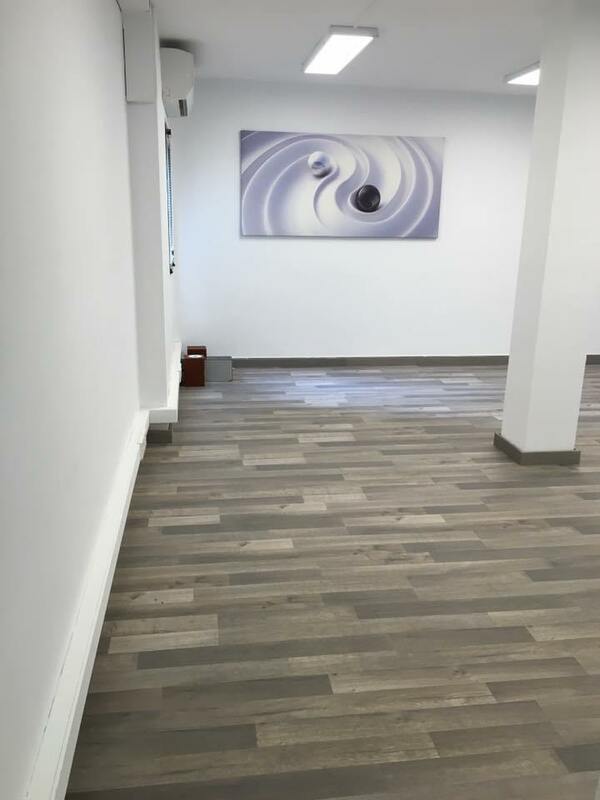 He has spent the last 40 years working in Barcelona,​ ​simplifying and researching by studying scientific knowledge​ ​how Seitai and the importance of the five movements can be​ ​explained and demonstrated more precisely. Dates: SUNDAY 13th of​ ​January 2019 10am to 2pm. Lucinda Wilson, Seitai practitioner since 1991. Formed with​ ​Magda Barneda (Espaidó), Luis Alonso (Fundació Seitai) and​ ​Katsumi Manime (Seitai Barcelona). Jueves 9 de marzo de 11 a 13h. Lunes 13 de marzo de 11 a 13h. No sabes que es Seitai? El Seitai es una actividad cultural dedicada a la investigación del ser humano y la salud, que observa y promueve el movimiento espontáneo regenerador, que se da de forma diferente en cada uno de nosotros, y nos enseña a aprender de él.